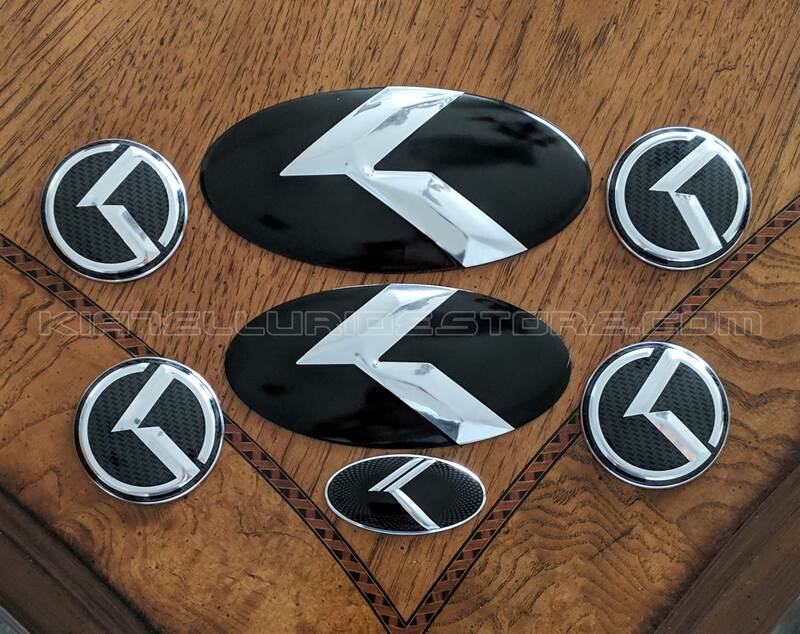 This set includes the “Carbon K” style metal skin overlays for the hood, hatch and wheel caps – with KIA’s own “Vintage K” design for the steering wheel. 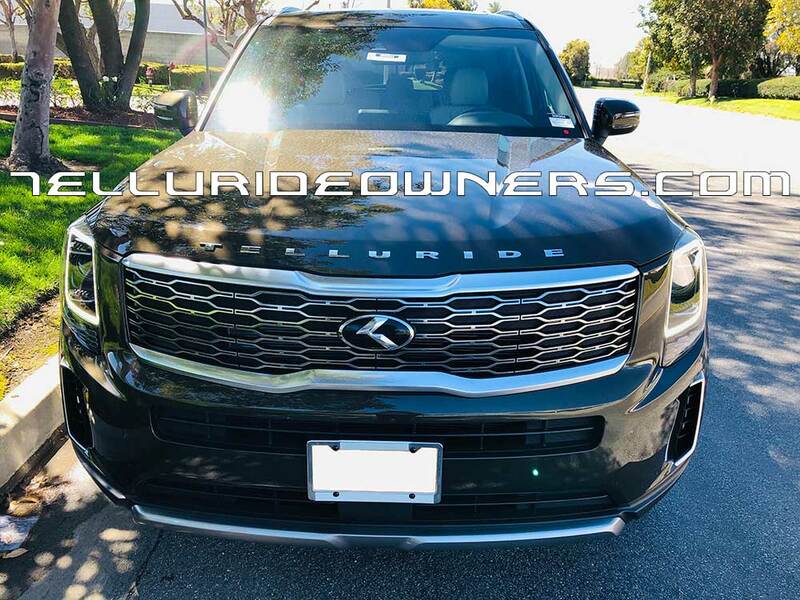 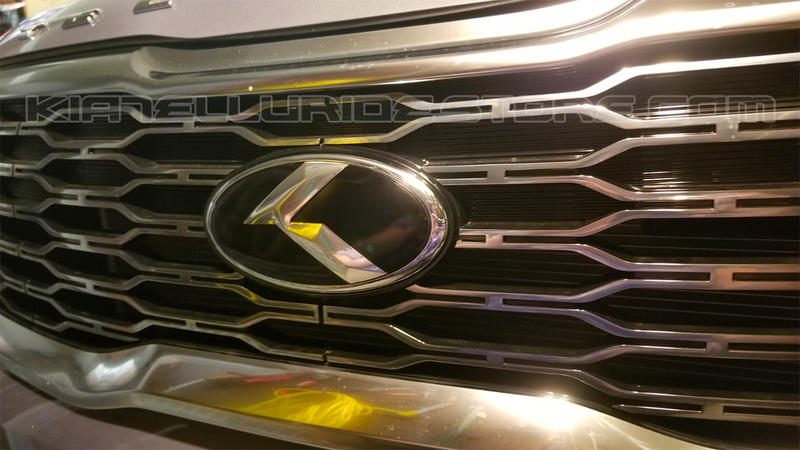 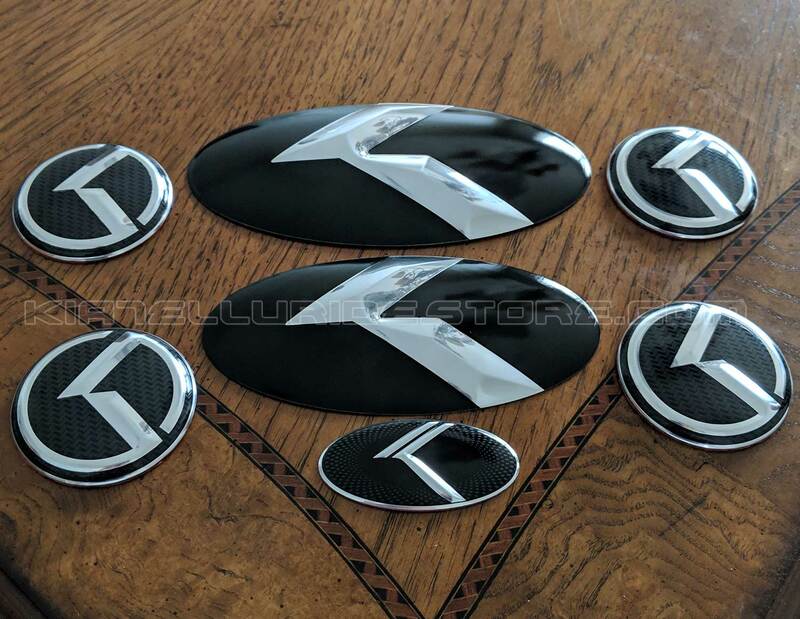 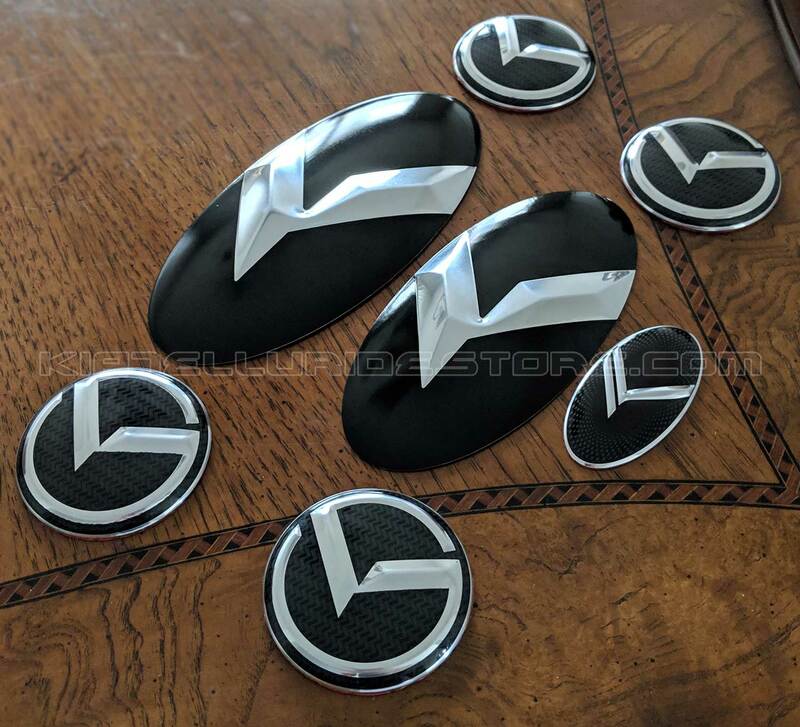 This is a THIN, VERY HIGH QUALITY set made by LODEN that allows you to cover and protect your KIA emblems rather than pull them off and risk damaging the paint. 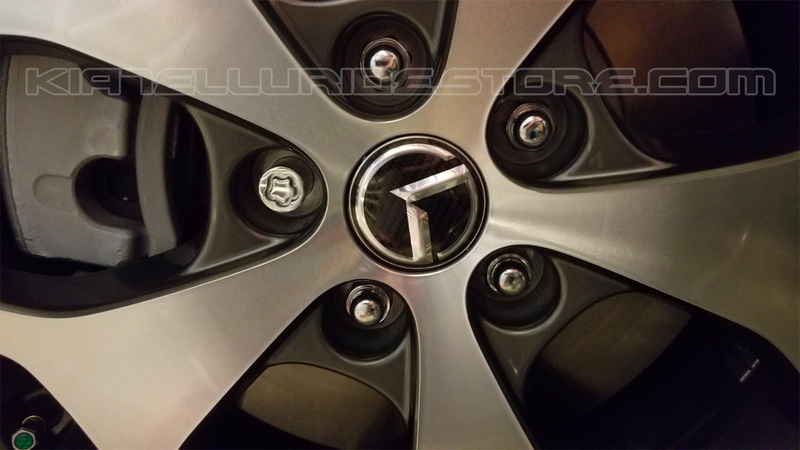 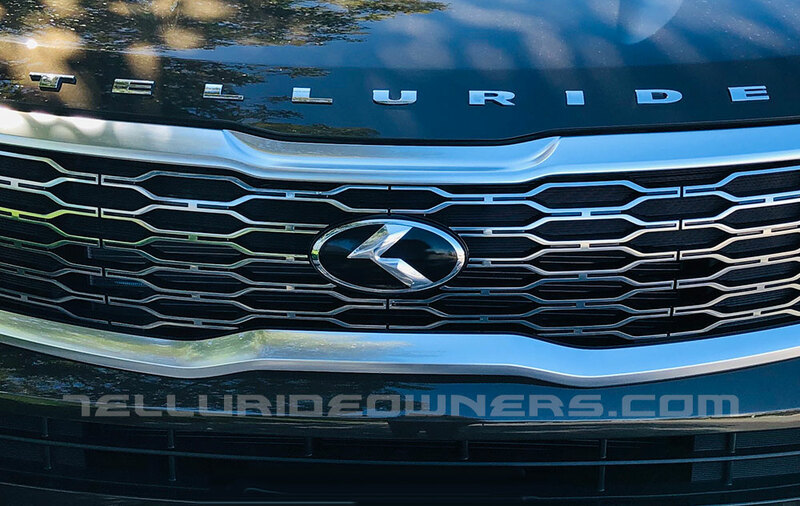 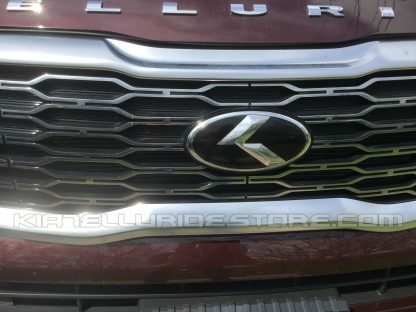 Furthermore, the Telluride’s emblem needs to be broken off the front grille for removal. These metal skins are the best choice for a great, classy look without damaging your vehicle. Oh, and don’t forget the TWO-MINUTE EASY INSTALL! Add a set of these emblems to your shopping cart and checkout today! 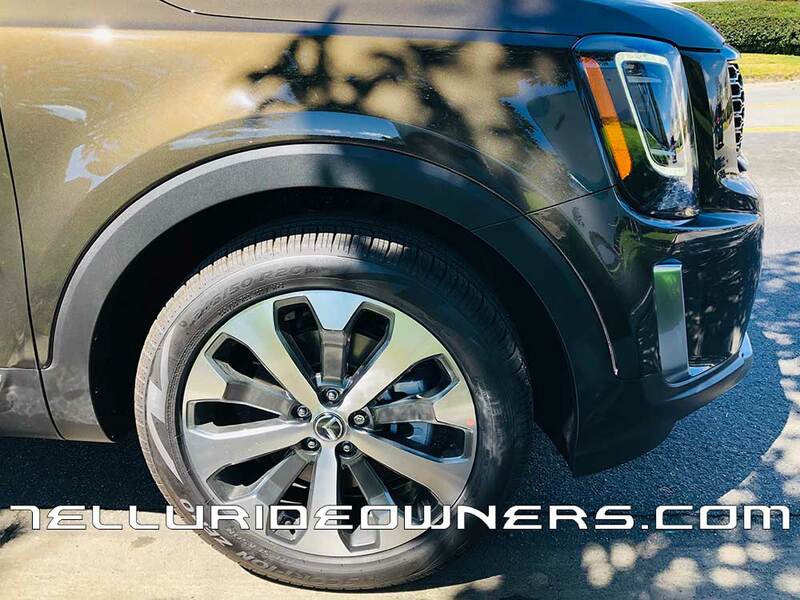 So you’re not too crazy about that cheap looking KIA badge on your Telluride. I don’t blame you! 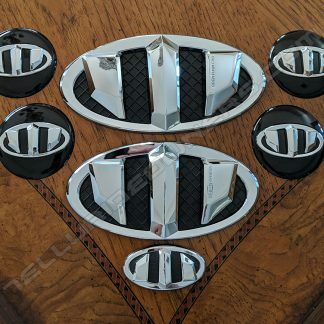 It’s not the most attractive design. 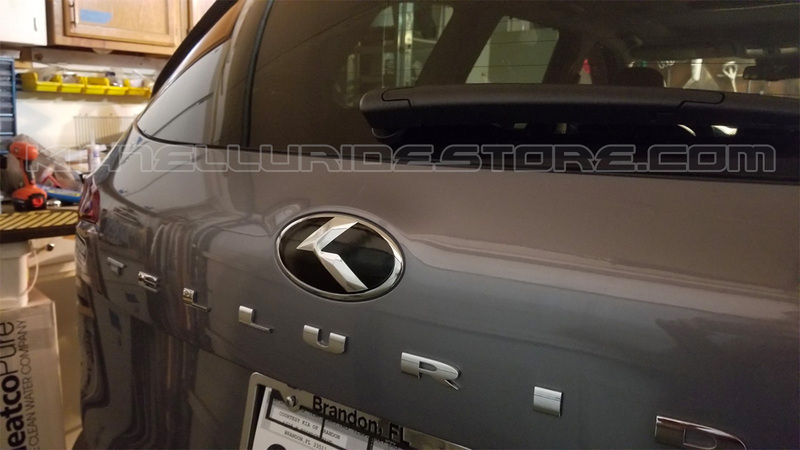 Hey, nothing against Kia! They’ve come a long way in a very short amount of time. 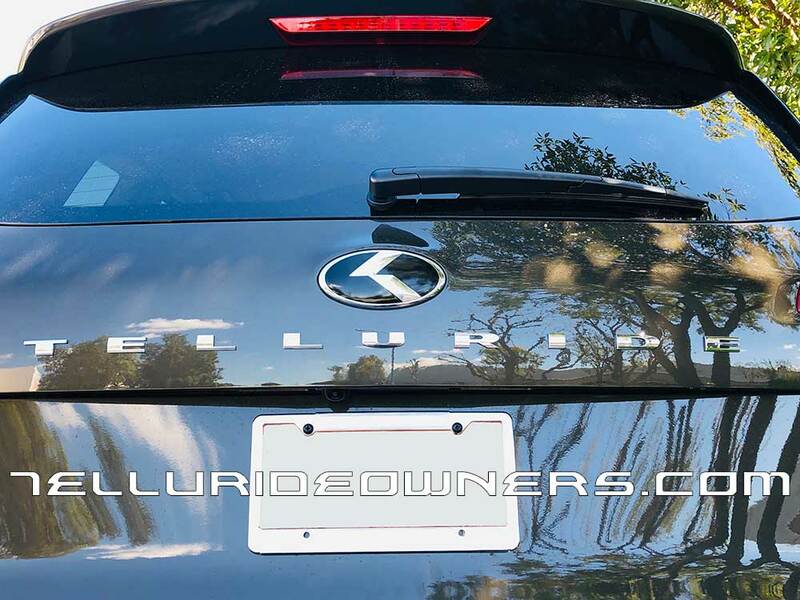 I’m quite proud of Kia, to be honest with you! 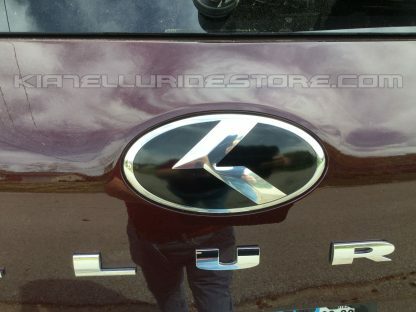 But I’m just not crazy about the plain looking KIA badge. 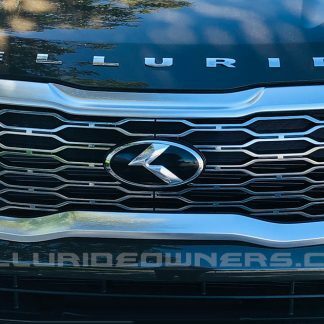 I bet you feel the same way – which is probably why you’re here! Don’t feel bad about swapping badges. 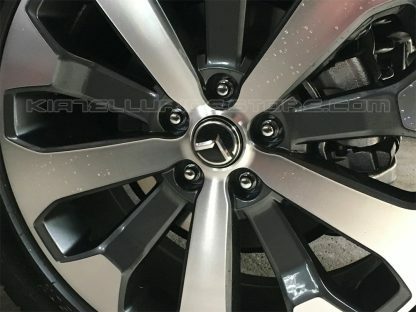 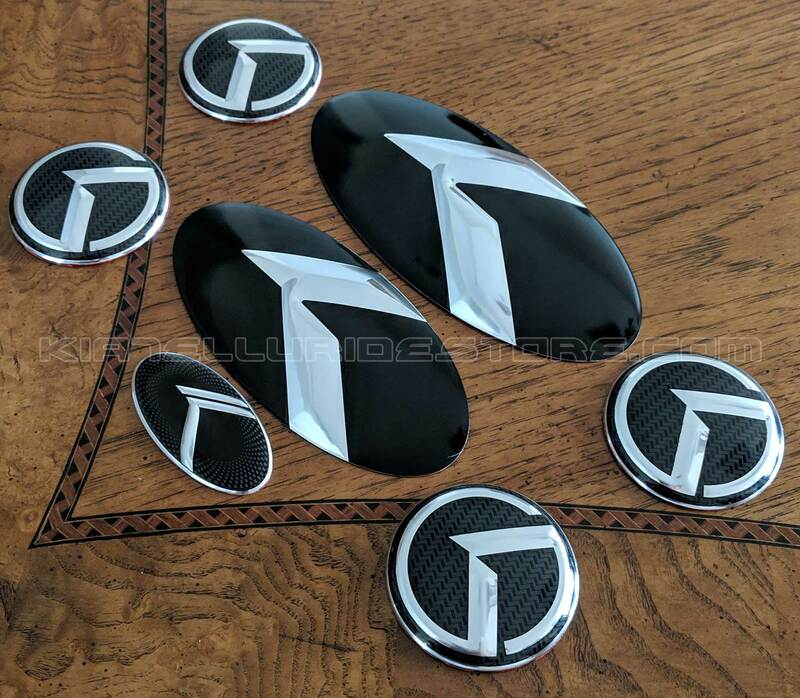 These emblems use a familiar “Carbon K” design used by many people around the world – so it’s not like you’re taking credit away from Kia by switching them. 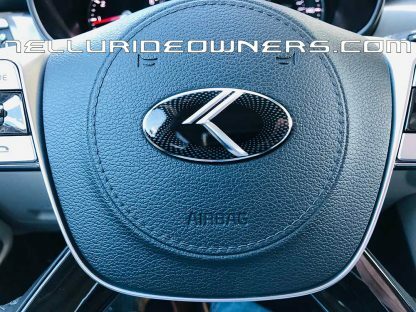 You’re still giving Kia credit where credit is due. 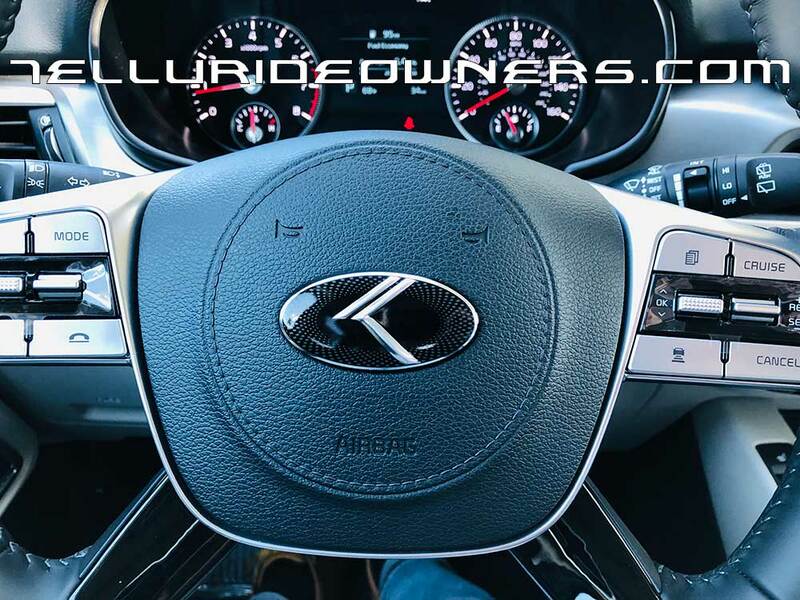 Besides, some people see the KIA badge and just turn away – never even giving the vehicle a chance. 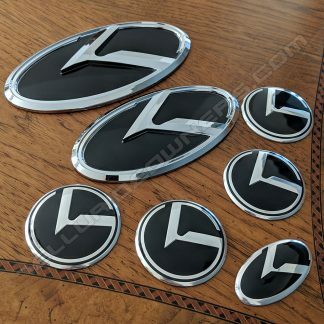 With these emblems, on the other hand, people get curious. And by the time they find out it’s a Kia, they’re already in love – and there’s nothing they can do about it.